This week’s Sunday online action saw wins for both Philipp Gruissem and Anatoly Filatov, who scored a double on partypoker, as well as a first PokerStars Sunday Million title for ‘behindme93‘. The Sunday Million’s 5,397 entrants, created a $1,079,400 prize pool and after the UK’s Luke ‘LFMagic’ Fields fell in fourth place for $50,402, two-time Sunday Million champion ‘veeea‘ just missed out on a chance to make it three after exiting with the bronze medal for $71,822. The final two struck a money deal before the heads-up action underway and it was to be ‘behindme93‘ who went the distance and claimed $131,018 with ‘gettingpwned’ banking $117,170 as runner-up. 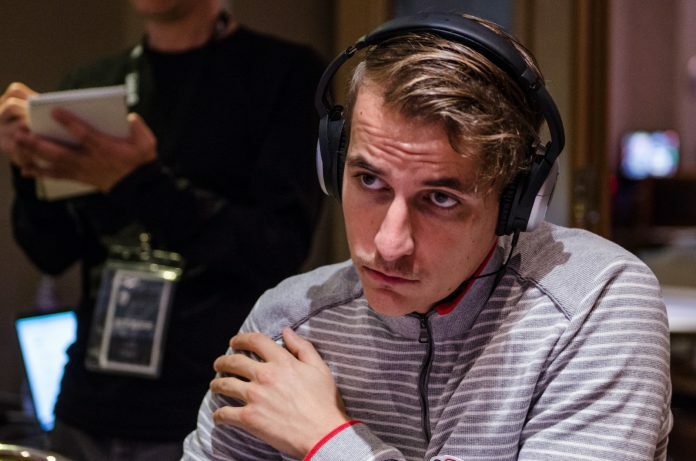 ‘prebz‘ came through a 106 entrants field in the PokerStars $2,100 Sunday High Roller to claim victory after a deal was made with ‘Ssick_OnE‘ and ‘nailuj90‘. The final agreed to a money deal before ‘nailuj90’ exited with the bronze medal for $36,461. ‘prebz’ then eliminated ‘Ssick_OnE’ into second place for $35,826, with the former taking the win alongside $40,354. Gruissem won the PokerStars $530 Bounty Builder High Roller for a combined score worth over $67,000. ‘APonakov‘ took second place from the 901 player field for $26,900.27 + $3,988.29 with ‘4xfingers‘ taking away $19,521.51 + $9,082.51 in third. Filatov, a partypoker ambassador, won the partypoker $530 Sunday Main Event for $20,491 after a heads-up battle with ‘Graftekkel.’ The $100,000 guarantee was just surpassed with 201 entrants taking part and once the final table action got underway and the field was further reduced ‘Sponix92‘ took third place for $10,602. That left Filatov to continue further his impressive form on both the live and online felt after he discarded of ‘Graftekkel’ who banked $14,874 as runner-up, with the Russian taking the first-place prize. Filatov also claimed victory in the partypoker $1,050 Sunday Bounty Hunter High Roller for just over $52,900 after he came through a 186 player field and defeated ‘x_zola25‘ heads-up. ‘MOTHERSMATTERS‘ banked $57,000 after winning the partypoker $2,500 Super Sunday High Roller. The final table featured the likes of ‘bencb789’ and partypoker ambassador Joao Simao who finished in 8th and 7th place respectively. ‘j2805667‘ took the bronze medal for $27,000 before ‘prebzzz’ was the final player to depart and banked $39,000 in second place as ‘MOTHERSMATTERS’ took the win. Over on 888poker, ‘HateH4teHate‘ won $26,600 for outlasting 75 other opponents in the $1,050 Whale event, while ‘derharry69‘ banked $20,097 in the $215 Sunday Mega Deep after a heads-up victory over Sam ‘Sammygrinder’ Grafton who collected $14,887 as runner-up.